If you’ve ever needed more reasons to visit the stunning island of Sicily, now is the time: Mama Agatha will be celebrating its Italian premiere at the 9th annual SiciliAmbiente Documentary Film Festival, taking place 18-23 July 2017 in the gorgeous beach town San Vito Lo Capo. What better chance to combine a fine selection of wonderful movies with a relaxing holiday? In July, Deptford Cinema London is screening Mama Agatha together with the feature Wadjda. If you’re in the area, make sure not to miss it! Impressions from the wonderful B:loft Bicycle Film Night last Thursday, the only such an event dedicated to bicycle films in Luxembourg. Thousands of miles and several major, uncycleable bodies of water separate Amsterdam from Australia, but we all celebrate International Women’s Day on the same day! 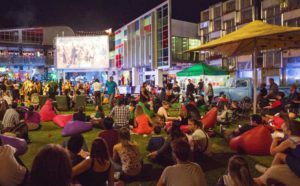 If you are in or nearby Perth, come join the Wonder Women edition of Perth’s City Mojo Film Festival on March 8 organized by Perth Bike Hub and enjoy a great collection of female-focused short films about bold leaders, urban living and roller derby. Pack your picnic and grab a beanbag. The show starts at 7pm on Northbridge Piazza. It is a pleasure to announce that Mama Agatha has been selected to screen at one of the most important festivals in Germany and the second oldest German short film festival, interfilm Berlin! See us in the special program ‘Delicacies’ on October 16, 18 or 21! 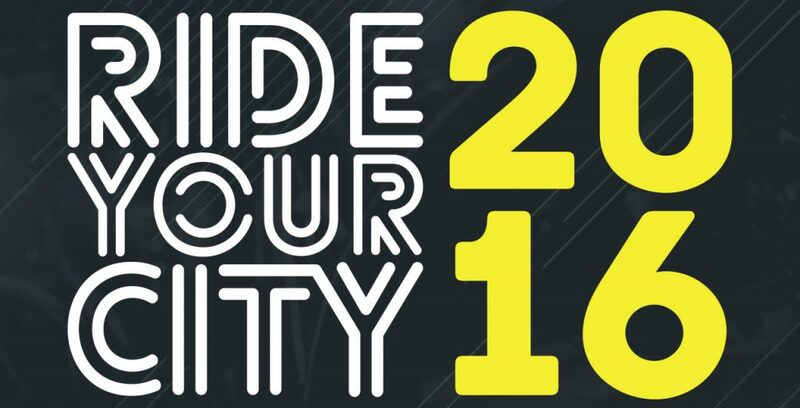 Ride Your City 2016, a celebration of all things cycling! We are super excited to be debuting with Mama Agatha in Southeast Asia at this incredible event with bike talks, bike movies, bike exhibitions, bike workshops, bike races and competitions and so much more. Everything in Kuala Lumpur will be revolving around the bicycle on November 5/6 and we’re proud to be a part of it! Here’s something that might surprise you: The cycling capital of the world does not have a bicycle film festival – until now, that is! Started in 2001 by Brendt Barbur, the Bicycle Film Festival has since grown into a global platform to celebrate the bicycle through music, art and, of course, film. Numerous cities around the world have their Bicycle Film Festival, and starting next week, so will Amsterdam. Of course, we are joining with Mama Agatha: You can see the film in the special program Women on Wheels at Pakhuis de Zwijger on October 7, starting from 20:00. The entrance is free! Mama Agatha herself will be present for a podium discussion. More info here. It’s a pleasure to announce that Mama Agatha was selected to be screened at Watsonville Film Festival, taking place September 29 till October 2! Catch the film on Saturday, October 1 in the charming, historic Fox Theater in Downtown Watsonville. Check out the website for more info and the detailed program. Let’s encourage more people to switch from cars to bicycles! Hosted by the Embassy of the Netherlands in Malta, one week from now, Mama Agatha will be screening at the Bicycle Drive-In Open Air Cinema in St George Square, Valetta. If you happen to be living nearby or visiting the area, make sure not to miss it! Don’t forget your bike – we start May 12, 2016 at 8 PM.